The Memorandum of Understanding (MoU), of the joint research study between Department of Geography, University of Colombo and the Island Research Center, State Oceanic Administration, P.R. 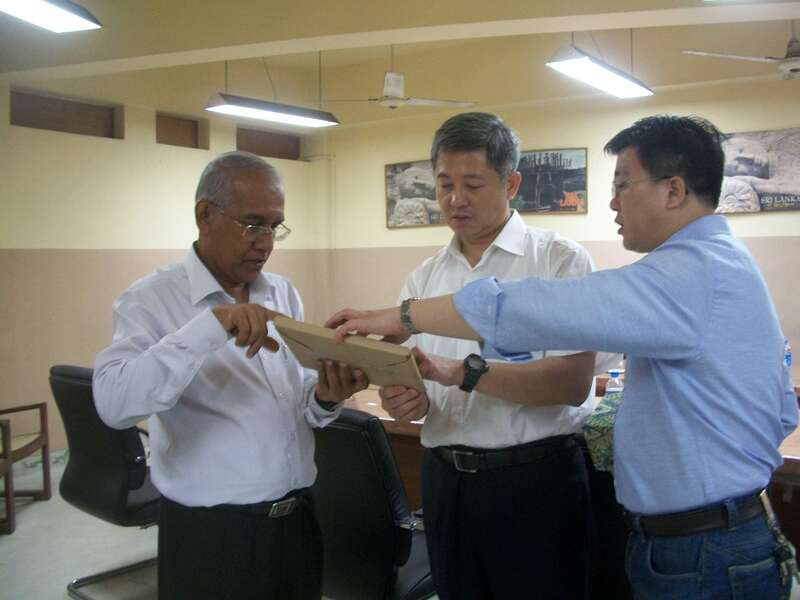 China, was signed on 14th December 2015, by the Prof. Lakshman Dissanayake – Vice Chancellor, University of Colombo and Dr. Li Wenjun – Deputy Director General, Island Research Centre, China. This is a jointly organized research project on the Impact of Global Climate Change and Human Activities on Tropical Coastal Evolution and Management, by which both parties will be benefited in terms of gathering, processing and analyzing oceanographic data using recently invented methods and equipment. This study mainly focuses the coastal morphology, shoreline changes, sediment transport and budget, nearshore hydrodynamics, monsoon effects and human impact of coastal changes along the coastal line from Negombo to Chilaw. The Department of Geography organized a preliminary discussion with the Institute of Mountain Hazard and Environment at Chinese Academy of Science – China to explore the possibilities of research collaboration in between two institutions, on 26th November 2015..Theinstitution is well established partnered with many countries of the world regarding formation and mitigation of mountain hazards, degradation and reconstruction of mountain environment evaluation, planning and sustainable development of eco-environment, remote-sensing, mapping, GIS, and Agro Ecology. 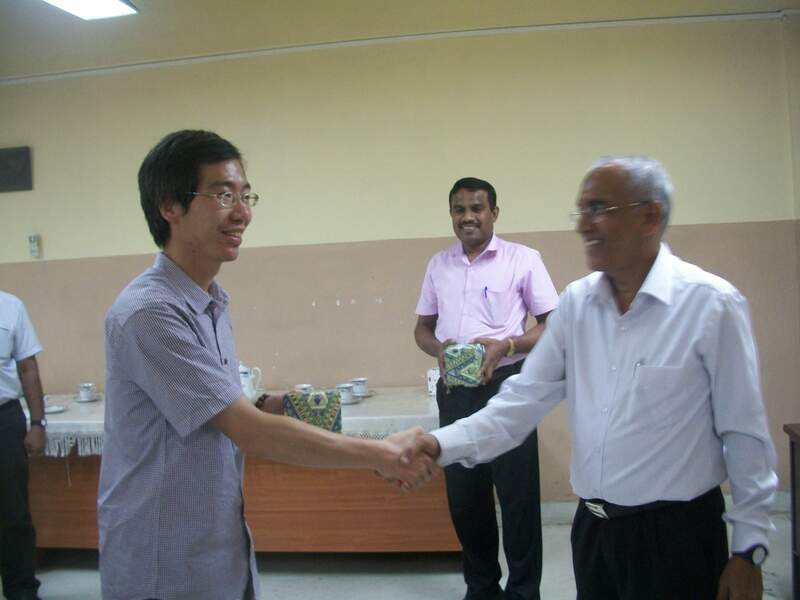 A Chinese team with four delegates along with the senior lecturers of the Department of Geography including Prof. L. Manawadu (Head of the Department), Prof. W.N. Wilson and Prof. S.A. Norbert had a successful discussion and exchange of ideas regarding collaborative research between the Department and the Institution. Peace Builders Program, Peace Science Research Center (Hiroshima MOU with Department of International Relations, University of Colombo. – 2009 to date. After 2004 tsunami with the need for professional social workers in the country a collaborative academic link programme between the Department of Sociology, Faculty of Arts, University of Colombo and the Faculty of Social Work of the University of Ljubljana, Slovenia was established in 2005. In April 2011 The Vice-Chancellor, University of Colombo and the Rector, University of Ljubljana signed a Memorandum of Understanding to contribute towards the development of academic, scientific and cultural cooperation between the two universities in the spirit of broadening the already existing cooperation between the Faculty of Social Work of the University of Ljubljana and the Department of Sociology, Faculty of Arts, University of Colombo. As the first major task under the collaborative programme between the two universities, the Department of Sociology introduced a study stream on Social Work to the students following sociology special degree programme. Six courses jointly designed by the Department of Sociology, University of Colombo and the Faculty of Social Work, University of Ljubljana are offered within the study stream. Up to now all the courses have been delivered by the visiting Professors from the University of Ljubljana together with the academics from the Department of Sociology. The first batch of students under the social work study stream recently graduated. Contributing to the human resource development in the University of Colombo to support the independent sustainability of social work education, the University of Ljubljana offered two Ph.D scholarships and currently one Lecturer from the Department of Sociology and one Social Work Instructor attached to the Department of Psychological Medicine, Faculty of Medicine are following the Ph.d programme at the University of Ljubljana. Two senior academics from the Department of Sociology also had short exposures to social work education at the University of Ljubljana. Under the collaborative programme, student exchanges have also taken place. Thirteen students from the University of Colombo visited the University of Ljubljana for one month intensive programme in social work and over the years students from the University of Ljubljana visited Sri Lanka for their practice placements under the supervision of the staff, Department of Sociology. The Department of Sociology also assisted the Slovenian students to find appropriate institutions to do their practice placement activities. University of Oslo, Norway and University of Gadjah Mada, Indonesia. Conflict, Power and Democracy (CPD) Project . This project is a tripartite collaboration between Department of Political Science, University of Colombo, University of Oslo, Norway and University of Gadjah Mada, Indonesia. NORAD’S Program for Master Studies (NOMA) program is a two-year program by course work and research, with the thematic emphasis on “Democracy, Governance and Conflict.” Initiated in 2009 collaboration with the Department of Political Science and Department of Sociology and Human Geography, University of Oslo, Norway. This program is the main component in a tripartite cooperation between University of Colombo, University of Oslo, Norway, and University of Gadja Mada, Indonesia. The collaboration seeks to promote post-graduate education, research, post-graduate student exchange, international academic collaboration and research capacity –building in Political Science.